Playing with Patterns – Floral, ikats, trellis to name a few. The trick here is to pick a color theme like Browns, Blues, Reds…and use curtains and furniture of the same color. e.g. brown sofa, red chairs with a bold combination. Fiery Red – Use red in your living room that fills the room with a lot of energy to balance the same use pops in white. Peaceful white – You cannot decorate the room in all white as it makes it dull and gloomy, to perk it up use different textures like a nubby rug, linen curtains, etc. 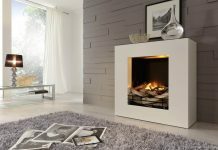 Touch of trend – Living room needs to be update just like your wardrobe a few new accessories each season and a new perfect new look. You can use a metal side table, zebra pillows or a new wall painting. Silver Accent – A cool metal touch gives the living room a new chick look. A scrolling mirror, shiny legs of the coffee table make the room the place to be. Writings on the wall – This is the unique and eccentric décor these days. You can choose theme, type and even get your favorite lines or lyrics printed. Back to back – Placing a sofa set in the middle of the room with their backs to each other creates a dynamic seating arrangement. A bold move creates two conversion corners. 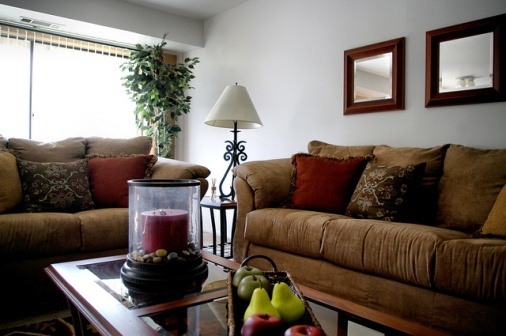 Formal arrangement: Oval furniture arrangement in the living room gives it a formal and entertaining look. Plus size wise – Placing an extra large sofa against the wall and using oversized accessories gives the living room a bigger look and gives a lots of space to move around. Natural Elegant look – A mix of polished and unpolished furniture, a neutral shade on the wall and curtains in pastel shades says it all. The perfect look. 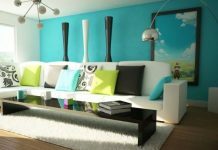 Sea of Space – want to make your living space a welcome area for a gang of friends place a sofa with ample seating place and a coffee table preferable circular so that it is easy to navigate. That treasured place sets the tone of your designing style. Contemporary Architecture is based on the same desire and will to design something different from what has been designed in past. It is the style of the present day and is ever changing. 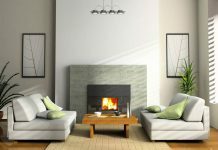 A lot options are available to decorate your living room like different themes, color schemes, wall painting, decorative, styles of curtains, and styles of furniture. The list is never ending and ever changing. Previous articleBrilliant Ideas for Sunroom Furniture!